The focus of a company on human resources seems to be one of the key tasks from a strategic management point of view and HR in turn plays an important role in all strategic decisions. Across the globe, managers of Human Resources ask for a strategic position of their department within the organization with an aim to get to the core of a problem: How does one manage expectations, motivate and increase the performance of the organization? The importance of human potential for a company increases proportionally with the speed of changes which appear in the business area because human capital represents a basic qualitative parameter of an organization. In a rapidly growing and fast paced economy, technology has been a boon in numerous aspects. 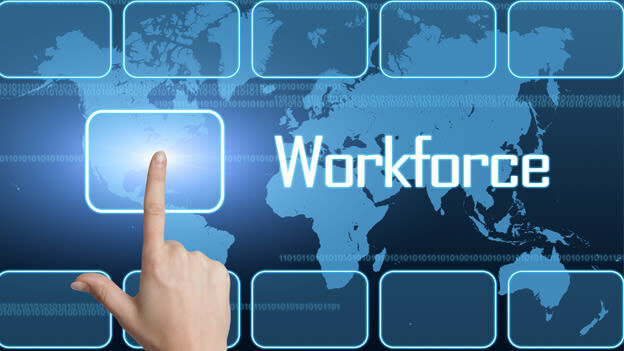 The use of technology in the past few years has grown considerably and technology has and continues to play a pivotal role in enabling Human Resource organizations to move from personnel management to business enablement.The utilization of IT tools not only help to fulfill the company’s defined goals but to optimize the work processes as well. One of the supporting pillars which can contribute to the fulfillment of the personnel policy is the usage of IT technologies in HR. Information and Communication Technologies (ICT) - a catchall term for techniques associated with mobile communication, internet, new media and PCs - allow companies to improve their internal processes, core competencies, organizational structures as well as relevant markets on a global scale. Many organizations like ours’ have introduced various tools and applications to aid the employee and to hasten all processes and in turn achieve higher productivity. For instance, in our organization we have automated over 20 key processes. Some of which are basic and some are highly advanced. The HR Manager’s work with an employee starts from before recruitment and continues until after his resignation/retirement. So starting with recruitment to onboarding, every step is automated. All this helps to hasten the process of recruitment. HR has always been the custodian of all employee data and suitable storage of this valuable data is critical to the organization and for growing business demand. Gone are the days of manually filing systems. All employee information is now stored online. Personal data, all work related achievements, health insurances, information on all projects that are allocated to an employee and any movement between projects or departments are all accessible online. It is much easier when processes of leave application, time sheet management, employee payroll, IT computation are found online. The employer and employee have ready access to a large amount of well sorted information. Take an exceptional situation like requesting a salary advance, where an employee might need to approach multiple people to get the request fulfilled. But when it is all automated, everything can be tracked and closed much faster and more efficiently. Companies rely heavily on applications these days, for example an application called Yammer… a social networking platform for employees at our company across the globe. One can create their profiles and then contribute to discussions, follow interesting topics, create various groups and be connected to employees beyond just their cubicle. This allows for the creation of a collaborative culture which is far beyond what one can achieve through email exchanges. Most organizations need to connect with their employees on a regular basis to keep them abreast of things within the organization and around it. This they do through various tools and applications via intranet. At organization like ours, these tools and more are available through one single portal called Spandan. It is at the heart of all communications within the organization both across geographies and functions. Be it employee specific information or company news everything can be accessed through Spandan, like wise other organizations too have rapidly implemented similar tools to enhance seamless communication and transparency within the ecosystem. All in all, it is extremely critical to manage well the most basic asset of a company, i.e. our people. Happy employees make for proud employees translating into delighted customers!